Why I am writing about rocking horses:(weird, right?) Well I think some toys are classic and just don’t ever go out of style. So in a world where the next new thing is always just a few months from being passe, it’s nice to find classic ones that stand the test of time, and those are the toys I write about. I like to research and spotlight the best ones for you. 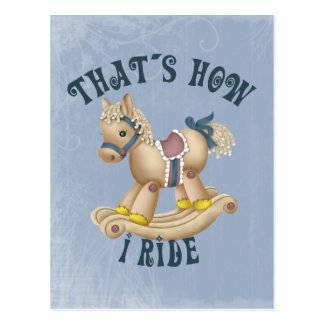 And Spring Rocking Horses are just one of those toys that everyone seems to have around because children of all ages love them. In fact you have to tell the teenagers to stay off of them sometimes, because teens will be teens. Girls and boys both enjoy rocking horses, and for girls they also serve as transportation for their dolls. A rocking horse with springs is a favorite toy of toddlers. All our kids loved theirs and they ended up in my daughter’s room as a place for her stuffed animals to sit on. I think every family needs a toy rocking horse and the spring rocking horses are more fun than regular ones. Really, your kids will thank you for getting them one! There are many cool rocking horses, but I am spotlighting the Radio Flyer Liberty Spring Rocking Horse as it is the most popular Spring rocking horse on Amazon! Also people have asked me about a Wonder Horse Spring Rocking Horse, so the deal with that is that several manufacturers have that as a name of one of their models. When one is currently in stock I will list it here. Enjoy! In a hurry? Click here to get a Spring Rocking Horse for your children right now! The Radio Flyer Spring Rocking Horse is a Perfect Horse for your family! It has so many wonderful features that I listed them separately below. My granddaughter has this one, and so do my nephews in Texas. They love the sounds it makes. Children love Spring Rocking Horses! We had one for more than 10 years till the last child outgrew it. Rocking horses are classic toys! Below are some of the wonderful features of the Radio Flyer Spring Rocking Horse. It’s the most popular Rocking Horse on Amazon, and one of the most popular ones at all the other stores too. Scroll to read reviews by buyers too. This classic spring horse neighs, clip-clops, and has a real yarn mane and tail. Beautifully sculpted with great attention to details make this horse attractive and realistic. Sturdy steel frame is extra wide, so as to prevent tipping. Springs are covered with thick, removable fabric wraps to prevent finger pinching, and built in safety spring straps allow for extra security. This product is made by Radio Flyer, innovating play and creating memories since 1917. The sound effects are nice detail and the size is perfect. Well worth the money and sure that it will last a lifetime. It is very safe and really attractive too. It provides excellent exercise and fun. The one negative review was this: No padded seat anymore, just a hard plastic seat. Customers Love the Radio Flyer Lucky Rocking Horse! Here are more Spring Rocking Horses children love! These are some of the most popular ones right now, including rocking horses for toddlers and babies. Toddlers and spring rocking horses go together really well. They get to use that energy and they love bouncing around on their own little bouncy rocking horse. Just click a link to see more information. On eBay you can bid on toys and snag a bargain. But what if you don’t like to bid on stuff? That’s okay, just choose Buy it Now as your option, and get a fixed price. Simple! There are some really neat vintage spring rocking horses at eBay most of the time. Good place to look if you like old stuff in your house as decor. Rocking on a Spring Rocking Horse! Look how much fun this little boy is having on his rocking horse! Still searching? Click here to get a Spring Rocking Horse for your children right now! 16 Rocking on a Spring Rocking Horse!